Start a new family tradition and head to Snowmass Base Village for the second annual July 4th Community Celebration from 7:30 – 9:30 PM. The event features American Circus Styles where kids and adults alike are invited to learn circus tricks like balloon animals, face painting, ribbons and hoops. A bounce house and lawn games including kickball, LED bocce, badminton, corn hole and more round out the fun! You’ll also enjoy sweet treats from The Sled Mobile Kitchen which is offering everyone’s favorite July 4th desserts including ice cream, pie, brownies, and churros. We invite you to stop by our sales center for cookies and refreshments during this celebration. 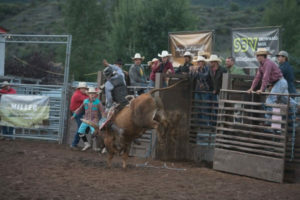 This festive celebration also coincides with the Snowmass Rodeo, celebrating 45 years of team roping, bull riding and barrel racing excitement! The Rodeo opens at 5:00 PM with the show starting at 7:00 PM. 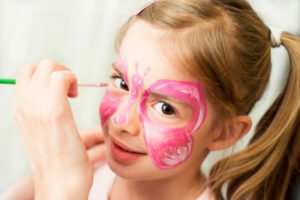 Look for our SBV tent at the rodeo, come to say hi and let the kids enjoy our free face painting!